Book Running Lead Manager for the Sunil Hi Tech QIP. 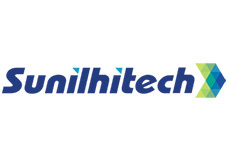 Sunil Hitech Engineers Limited (NSE: SUNILHITEC), one of the few companies focused on the ever-growing Power Sector successfully raised Rs 810 Million through a QIP offering in accordance with the SEBI (DIP) Guidelines, 2000. The offering comprised of 2,250,000 equity shares of Rs. 10/- each for cash at a price of Rs. 360 per equity share. The money raised through this offering will be utilised in purchase of equipments, expansion of the current business as well as investment in its subsidiary. Avendus Capital was the sole Book Running Lead Manager for the offering. The money raised through this offering will help Sunil Hitech strengthen its position and boost its plan to foray in the lucrative Balance of Plant (BoP) segment of the power infrastructure sector. The bid opened on January 14, 2008 and closed on January 15, 2008. The equity shares issued through the offering got listed on Bombay Stock Exchange and National Stock Exchange on January 25, 2008. The outstanding equity capital of Sunil Hitech post offering is 12,275,160 equity shares of Rs 10/- each. Six investors including three Foreign Institutional Investors (FIIs) and three Indian Mutual Funds (MFs) participated in the offering. Some of the major investors included Bessemer, Citigroup, Merrill Lynch, Franklin Templeton and Tata MF. Sunil Hitech is engaged in the niche segment of Fabrication, Erection & Testing and Commissioning of coal handling plants and ash handling plants, bunkers, turbine hall generator buildings and erection, testing and commissioning of boilers and auxiliaries like Electro Static Precipitator (ESP) both in private & public sector. The Company executes the order, supplies the labour and materials, constructs the plant, installs the plant, conducts the testings and hands-over the plant in working condition to the customer. The Company is also engaged in overhauling and maintenance of the plants. The Company has also been awarded projects in the transmission and distribution segment. The Company is also engaged in construction of steel plants. The Company has, through its subsidiary, established a manufacturing plant in November 2006 for the manufacture of pressure parts for boilers.